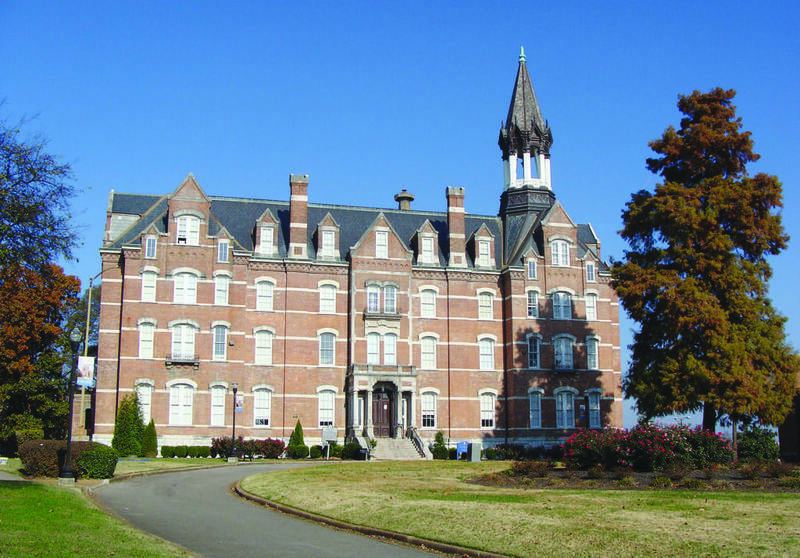 NASHVILLE, TN — When Dr. Kevin D. Rome Sr. arrived at Fisk University this summer as its fifth President in the last 17 years, he didn’t bring a magic wand or offer a secret recipe to help Fisk, despite the urgent need for phenomenal things to happen to upright the fate of Nashville’s oldest higher education. Still, he expressed no hesitancy or fear of taking on the job. “I’m not frightened by anything that’s occurred in the past,” said Dr. Rome, acknowledging, during a recent interview, his awareness of the university’s struggles in recent years. “I chose to be here,” the 51-year old said confidently as he spoke broadly of Fisk’s rich history, its challenges and his Fisk leadership plans. Dr. Rome, who had wanted to come to Fisk from Lincoln University in Missouri in 2012 when Fisk trustees instead chose Dr. H. James Williams to be president, has declared on several occasions since his arrival in Nashville in June that he hopes to be with Fisk for the long term. His work at several institutions including North Carolina Central University, for the California State University system and at Lincoln, his first tenure as a university chief executive, has readied him for the responsibilities of running Fisk, he says. Getting a chance to run Fisk, an institution with a legacy and historical standing, is a special opportunity, he added. 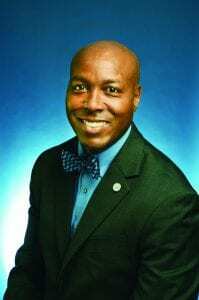 Dr. Rome, a Morehouse University graduate is one of nearly a dozen higher education executives to take on new permanent or interim presidency jobs in the past year at a HBCU. New presidents are on board at Kentucky State University in Frankfort, Bowie State University in Maryland, Virginia Union University in Richmond, Cheyney University of Pennsylvania near Philadelphia, Meharry Medical College in Nashville, Morehouse College in Atlanta, Grambling State University in Louisiana and Lincoln University of Missouri. Elsewhere, Tuskegee University in Alabama is among those on the hunt for a new president. It is looking for its third president in seven years. So is Florida A & M University. Alabama State University in Montgomery is looking for a permanent president. Dr. Rome and his new president/chancellor peers are the most recent participants in what has evolved in the past decade into something of a musical chairs exercise among HBCU presidents. Nearly half a dozen HBCU presidents have retired, left or been fired from their jobs each year for most of the past 10 years. Higher education advocates and analysts say this unprecedented level of turnover in leadership stems in too many cases from restless trustees unhappy with a current or new president they felt was not righting their ship fast enough. Some presidents or boards have felt the new president was not a good fit for their institution. Regardless of the separation reasons, the rapid turnover is alarming for a segment of higher education historically considered stable, solid as a rock, observers say. It hurts fundraising, recruiting and retention, they say, adding leadership churn imperils long term planning. Fisk fits those characteristics, observers say. Dr. Rome was this spring among the dozens of HBCU presidents treated to an audience with new Trump Administration officials in Washington and was part of a group gathered at The White House by President Trump for what was essentially a photo opportunity. Otherwise, Dr. Rome is not widely known in higher education circles. Once a top member of America’s legendary `Black Ivy League’ colleges, Fisk is today among the growing number of the nation’s 101 Historically Black Colleges and Universities (HBCU’s) considered fragile jewels of higher education. As a group, four-year HBCU’s today enroll less than 20 percent of all Black students in four-year colleges, compared to more than 90 percent of all Black students in the days of racial segregation, according to private and government statistical studies of enrollment trends. Fisk is a noted institution with a rich history that far exceeds its present reality, based on enrollment, endowment, cash on hand and future plans, public records show and observers say. It is academically and family strong today, as it has been since its founding just after the Civil War. It’s also fragile in most every other respect, as it has been since its founding just after the Civil War. The once strong standing of Fisk and most of its peer institutions has been seriously challenged even more in recent years as state and federal aid has stalled or been cut and the institutions are in a race for survival in the post-segregation era of endless opportunities for students and institutions. Most have small endowments with limited discretion for leaders to do more than award scholarship aid. Most of its peers have been forced in the past decade to pare their offerings and some hiring and current staff. Nearly half a dozen institutions have had to close their doors. Among the handful of standout exceptions is Virginia’s Hampton University, founded just after the Civil War primarily to educate freed slaves and Native Americans. Hampton today, lead by Dr. William Harvey, a former Fisk administration team member, boasts an enrollment of some 5,000 students and has an endowment with a market value of more than $270 million. Hampton reported nearly 20,000 applicants for the current school year from which it admitted 1,000 freshman year students. Dr. Rome comes on board with enthusiasm at a critical time in history for Fisk. A tuition-driven private liberal arts college, Fisk today enrolls some 800 students, just over half its 1970’s enrollment peak of 1,275 students. Dr. Rome inherits a pint size endowment of less than $40 million with minimal discretionary annual income. The once smaller, yet healthier, endowment was repeatedly tapped in the 1980’s and 1990’s to keep Fisk’s doors open. The university ended its 2015 fiscal year with a $ 5million deficit, according to its 2014-16 Biennial Report. Through relentless cost savings, and despite another drop in corporate and individual support, it ended fiscal year 2016 with an operating deficit of $182,422, the university reported. Vanderbilt University, Fisk’s younger Nashville higher education peer and the city’s largest university, has a $1.4 billion endowment to help it sustain itself and grow. Fisk provides Dr. Rome a long list of past financial donors and alumni who today are on the sidelines watching. Some are skeptical about Fisk’s business decisions on how to stay afloat and its churning of leadership in recent times. Some are alienated with the Fisk board trustees over its stewardship of the university. With some distinguished graduates in the mix, there is continued ill will among many Fisk supporters. They express concern over draining of the endowment in past decades, selling ownership in the mid 1990’s of half of its one-of-a-kind, priceless art collection and shutting its once nationally recognized Race Relations Institute. While Fisk shows a steady increase in alumni giving in recent years, the amount of overall donor support has been inconsistent, the school reports in its 2014-16 Biennial Report. Fisk 1957 graduate and former trustee Will Carter, a native of Houston, Texas and long-time resident of Washington, D.C. is among those expressing hopes Dr. Rome will be able to become the permanent leader Fisk needs. He’s expressed this hope numerous times over the past few years, he acknowledged in a recent interview. “Everybody has pleasant things to say about him (Dr. Rome), ”said Carter who, like others interviewed, noted Dr. Rome nor his new community have had time to really get to know his abilities. “I firmly believe we have to wait and see how things go,” said Carter, echoing others in asserting it is too early to opine broadly about the merits of Dr. Rome’s selection. Carter said in his talks with students at Fisk he senses they like him. “I think he’s up for the challenge,” said Fisk National Alumni Association President Gina Davis. “He understands what he’s up against,” said Davis, a Chicago attorney. “We have some high expectations,” of Dr. Rome, she said. Davis, acknowledging the alumni needs to play a role in helping Dr. Rome succeed. “We’re not looking at him as a savior,” she said. “We’re looking at him as a team leader. We’re look at this as a team effort,” Davis said, reasserting her sense that the Fisk alumni will need to stay engaged with their new team leader. That said, many who monitor and or support Fisk said in interviews the choice of Dr. Rome was a surprise for a variety of reasons. The institutions are similar while quite different. Fisk is an urban, private liberal arts institution where more than 85 percent of its approximately 800 students are African American and nearly 60 percent are federal Pell Grant eligible based on family annual incomes of less than $40,000. Lincoln, a state-controlled more rural public institution, like Fisk’s neighbor Tennessee State University, is a rural institution with an enrollment of some 2,200 students. Lincoln’s student body is nearly 40 percent white, 38 percent Black, two percent Hispanic, among others. Some 56 percent of Lincoln students are eligible for federal Pell Grants based on annual family income of less than $40,000. Both institutions estimate nearly 80 percent of their students are full time students. Fisk estimates more than 75 percent of its student live on campus. Two-thirds of Lincoln’s students commute to school. Fisk has a graduation rate of 47 percent based on four-year college counts. Lincoln reports a graduation rate of 25 percent, according to federal college scorecard data. A big difference between Fisk and Lincoln is Fisk’s need to continuously raise large amounts of financial support from private sources to sustain a private institution, something Dr. Rome has never had to do, they say. The number one mandate at a Fisk will be raising funds to keeping it solvent and help it collect funds to sustain itself and grow, said Carter, Davis and others familiar with Fisk and HBCU’s in general. High on his list of challenges is “creating financial stability,” and “rebuilding and repairing relationships” in Nashville and Middle Tennessee, Dr. Rome said in the recent interview. As for a sales pitch, Dr. Rome suggested Fisk has a solid track of achievement to demonstrate to potential supporters the value of an investment in Fisk. “We’re not a cause,” said Dr. Rome. “We want to be a big idea,” he said. He wants people to see “the benefit of investing” in Fisk as a vehicle for supporting the education of future leaders. Taking a “ look at the quality of students we attract and graduate,” gives merit to his case, he said. Fisk can prepare and graduate even more “with more resources,” said Dr. Rome. Employment: Georgia Southwestern College, University of Georgia, North Carolina Central University, University of Texas at Austin, California Polytechnic State University, Lincoln University of Missouri.